There is much more to Preston than his spectacular calves! Follow his supplement program to find balance between brains and brawn. Like everything else in your program, your supplement stack requires some variation for success. Your body needs extra help to achieve ultimate results, but it also needs a break. Preston Noble said he's gone back and forth between the two extremes: using a lot of supplements (see below) and cutting it back to the bare basics (protein, vitamins, BCAAs). He'll teach you what works! "I like taking BCAAs in the middle of my workout, because it gives me more energy throughout," Noble says. "Then, right after I am done working out, it helps bring my body back." The BCAAs are probably the most important in his stack. He takes about 5 grams with water with every meal. If branched-chain amino acids come first, then protein is a close second for this amateur bodybuilder. "You need protein if you're going to be increasing your muscle mass and dieting down, so you'll be burning the fat and not taking the muscle mass as well," he says. Simplicity is important in the supplement world, where a man can get lost amid the slogans and deals. Preston always reaches for fish oil, but not necessarily for a show. He says he takes it for healthy skin purposes. But when a show looms in his near future, Preston ratchets up his regimen. He includes everything from cinnamon to a diuretic. He knows when to take the right products and when to trust your body to handle business on its own. Some products are only effective for the short-term, so he only uses them short-term. "I believe anyone can achieve a great physique by sticking to the basic whole foods. Any ingredient in any worthwhile basic supplement can be found in your daily whole foods. Supplements are there to give an athlete that added edge to his or her training. I choose to supplement myself due to the added ease of their use. Less prep time = more gym time. 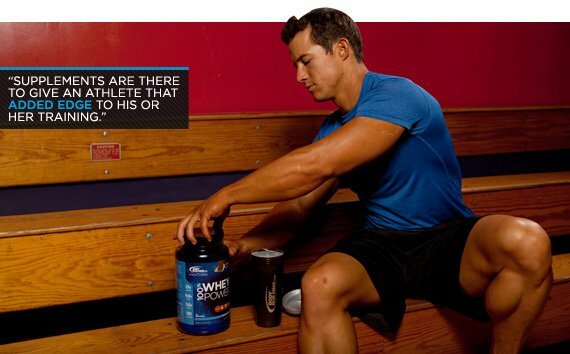 The three basic supplements that I stick to are: whey protein, BCAAs, and multi-vitamin. I have used many more supplements than that to experiment and get ready for shows. In the end, I always go back to the basics." For example: I am currently preparing for NPC Jr. Nationals in Chicago. Here is a list of the supplements I am using to help prepare. These are all a combination of fat burners and blockers. Used to help keep metabolism running high and minimize fat storage. Note: I take this directly in the morning before I eat and do 20-to-30 minute cardio.